APC May Suffer Setback As Governors Bite Buhari’s Bullet. 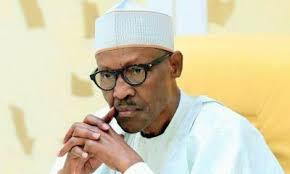 At last, the decision by governors elected on the platform of the All Progressives Congress (APC) to recognise the credibility of President Muhammadu Buhari’s position has sent the party stalwarts back to the drawing board. The matter at issue presently is how to balance the crucial contending issues between the state governors, who had been the bulwark of support for the National Chairman, Chief John Odigie-Oyegun and those who want the National Working Committee (NWC) rejigged. With the triumph of President Buhari’s position, it boils down to whether the governors would abandon Odigie-Oyegun or seek a fresh hand to command the party’s affairs at 40 Blantyre Street. That scenario comes against the background of disparate positions held by the governors; most of whom are seeking a fresh term in office and former governor of Lagos State, Asiwaju Bola Tinubu, who has been clamouring for the dispensing of Odigie-Oyegun. The clash of interests between the state governors and forces of reformation, which Tinubu represents; has been at the root of what the Imo State governor, Rochas Okorocha, dismissed as crisis in the party.A deep and studied look at the APC dilemma shows that the attempt by the first term governors, particularly the so-called Buharists, to sideline the critical constitutional provisions militating against the controversial tenure elongation, seems to be informed by their enlightened selfish interest. While the governors feel that their second term tickets are better preserved by the Odigie-Oyegun chairmanship, the reformists, including Tinubu and some prominent members of the National Assembly, think that the party’s future and ideological framework could be enhanced by a new and stronger character at the helm of affairs of the party. IF, as the governors’ body language tend to suggest, they support Odigie-Oyegun’s re-election to free their second term bill of all encumbrances, will he resign or remain as chair, while the convention committee carries on with the organization, planning and execution of the national convention on June 30? That would amount to varying the intendments of the APC constitution and President Buhari’s position. The failure of the February 27 jaundiced endorsement of the tenure elongation was actually predicated on the extant constitutional provisions, which the President pointed out could open the party to unbridled litigations that might culminate in vitiating the actions of the NWC. It is obvious that the sudden decision of the governors, to bow to superior reasoning is behind the impending dilemma: If they decide to back Odigie-Oyegun’s re-election so as to guarantee their second term, what is the guarantee that the agreement would be respected the moment he resigns and becomes a mere aspirant? Is there any possibility that APC might be tempted to review its zoning format during the elective convention to contend with new realities? Having agreed that tenure elongation “contravenes both our party Constitution and the Constitution of the Federal Republic of Nigeria,” as the President pointed out, can the issue of resignation be varied? Article 31 of APC Constitution stipulates that any principal officer aspiring to re-contest or contest for another post, must first resign from his current position in the party at least one month before the election. However, while the constitution precludes the formation of a caretaker committee, to what extent could any of the deputy national chairmen go to influence the convention, in the event that Odigie-Oyegun resigns to seek a fresh mandate as guaranteed by the constitution? Much depends on the expected report of the Solomon Lalong committee. But as Zamfara State governor, Abdullaziz Yari disclosed, congresses would be held across the federation through wards, local government and states. That could be the crisis point. Some stakeholders in the party however told The Guardian that the issue is delicate enough to sink APC if mishandled. They contend that entrenched interests have taken positions and are waiting for the outcome of technical committee. On the chances of Odigie-Oyegun continuing in office or not, Momoh said the issue before the party at present is the legality of the present NWC to stay in office beyond June 30 or whether congresses should hold according to our constitution. He added that any member of the present NWC is free to seek reelection and nothing stops them from making moves in that direction, as long as their actions are not against the constitution of the party. The former Minister of Information also dismissed the insinuation that some members of the party, who were not in good terms with the national chairman, are the ones kicking against the tenure elongation. He stressed: “The party had already set up modalities to hold its congresses before the February 27 NEC meeting, where it was suggested that the tenure of the present NWC members should be extended. The decision was taken in consideration of the fact that there wouldn’t be enough time to address some of the challenges that may arise after the congresses until we later considered the legal implications of the decision. “Part of the discussion in the last meeting was to further look at the constitutionality of Odigie-Oyegun’s continuation in office and not that the meeting ended in deadlock.”Momoh therefore appealed to the media not to blow the issue out of proportion in the interest of peace and the country. He said the last meeting was a continuation of the February 27 NEC meeting to further deepen consultations on the tenure extension, because some people still believe there is a way around it, while others, including Mr. President are considering the legal implications. But, from The Guardian findings, the chances of Odigie-Oyegun returning as the national chairman either through the congress of scale through with the tenure elongation are growing by the day. In the first instance, it appears that the number of those in support of the incumbent national chairman’s continuation in office beyond June is greater than those opposed to it. It was also gathered that the way a certain zone of the country reacted to the tenure extension suggested nothing but a deliberate target to achieve the aims and objectives of those that have been calling for the head of the national chairman and to also boost the influence of a particular individual in the party. Some of the sympathy for the national chairman is that he is not a type that is interested in standing on the neck of any elected officer or shown vested interest in sponsoring any candidate to become governor or minister. It is said, “he is comfortable with whatever he gets.”The source also disclosed that some strong forces in the party are uncomfortable with the permutations of using the former governor of Edo State, Mr. Adams Oshiomhole, to replace Odigie-Oyegun. The source said: “If Oshiomhole is the alternative option of the other force, the opposition may settle for the Minister of Science and Technology, Dr. Christopher Ogbonnaya Onu, at least to give the Southeastern block of the APC a sense of belonging in the party.” He said the chance of Oshiomhole becoming the national chairman of the APC for now is very remote. Meanwhile it was gathered that if the party eventually agrees to have congresses the process might kick off any time in April. There is also the covert scheming by other interests, which believe that should the Odigie-Oyegun camp carry the day, the Tinubu side is wont to shop for alternative platform.A member of the party, who did not want his name in print, recalled how some Tinubu loyalists hinted at the Social Democratic Party (SDP) as possible alternative during the 2016 APC governorship primary in Ondo State, when Tinubu’s preferred aspirant, Mr. Segun Abraham eventually lost out to the incumbent governor, Mr. Rotimi Akeredolu. The party source said similar scenario might indeed play out if Odigie-Oyegun wriggles through again this time.Another issue that was said to have pitted the two against each other was the November 2015 governorship election in Kogi State, where Odigie-Oyegun equally led some Presidency forces to checkmate Tinubu’s protégé, Mr. James Faleke. Faleke, who was the running mate to the party’s candidate, Abubakar Audu, would have become governor after Audu died few hours to the final announcement of the election result.It would be recalled that the subtle bickering between Tinubu and his loyalists and the national chairman, who allegedly led the ‘Abuja cabal’ that frustrated the national leader’s efforts to ensure his candidate’s victory in the primary became open when Tinubu openly demanded Odigie-Oyegun’s resignation and also accused him of graft. Since then, the relationship between them has been a cat and mouse friendship. Tinubu has never hide his disgust for Odigie-Oyegun. It was claimed that the national leader and some of his ally from that period withdrew their financial support to the National Headquarters office in Abuja. For more than two years, one of the factors that allegedly made Tinubu distanced himself from the party was the conduct of Odigie-Oyegun. The national leader however saw an opportunity to pay back when he was appointed to lead the reconciliation committee of all aggrieved members of the APC across the country. It was insinuated that his first target was to get rid of the national chairman, which the party denied.The battle between the two forces is most likely going to be fought at the National Convention scheduled to hold in June if the tenure elongation is eventually buried.How APC grapples with this nagging leadership challenge would determine how successful its preparation for the next general election could be.